CMS, or “Content Management System” is an industry term that is normally used in the context of public websites – tools that let you design web pages, centralize management of different pages and so on. However, the term is also relevant in the context of intranets – which may be seen as private websites meant for an internal audience of employees, or important external stakeholders like partners and clients. Today, I will give you some suggestions to help you choose a CMS to build your intranet, based on real experience dealing with the subject for several years. Rather than me gabbing away, the following video provides a very good overview of what a content management system is. As you can see a CMS is a platform which allows business owners to manage all aspects of creating a website, without having to deal with web technologies like HTML. CSS, JQuery etc. A intranet CMS, however, needs further capabilities beyond building static webpages. This is because an intranet is also the hub of collaborative work and productivity tools – document sharing, communication, project management, team calendars etc. An Intranet CMS should allow the capability to add these functions as well, where relevant. The following is a list of most common intranet CMS alternatives. 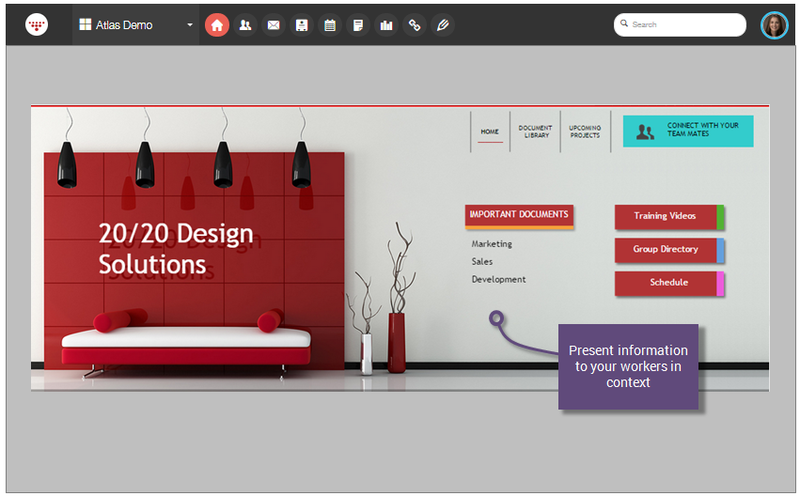 HyperOffice is a suite of collaboration tools such as intranet builder, business email, team chat, project management, contact management, and document management, all in one place. 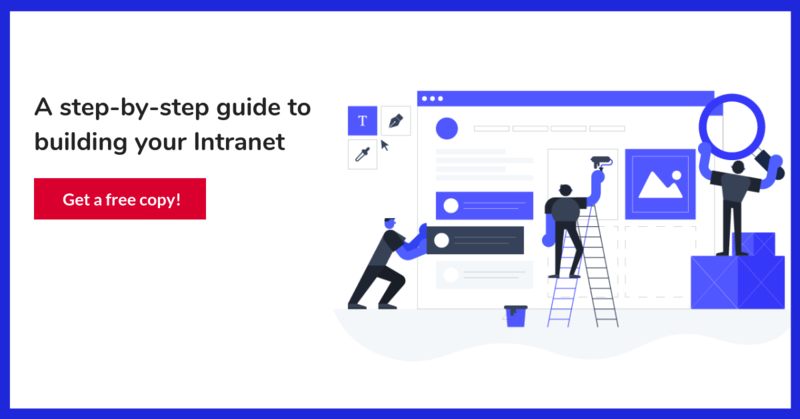 It’s especially useful for non-technical teams who want to create their own intranets; you don’t need coding skills to build your internal sites and you can leverage dozens of templates and also leverage its dedicated professional services and support team. Below is an example of a simple intranet which combines webpage design with collaboration capabilities. WordPress is the most popular CMS in the world. About 30% of the websites on the internet run on it. I personally love it; our blog is built on WordPress, and it has allowed millions of people to build their own websites for free. The contributions of WordPress to building a better internet can not be denied. While WordPress is very simple to manage — it was not specifically created with intranets in mind. While is has the flexibility with its open source code base, and vast array of plugins to choose from – it requires a fair degree of customization to be used to build an intranet. Before you pursue WordPress as the technology to power your intranet, be aware that you will probably need to hire WordPress developers. Joomla and Drupal are similar to WordPress, though slightly less popular. But even these platforms are web standards leveraged by millions of people to build their websites. Just like WordPress, they are relatively simple to use, and endlessly extensible with their open source code-base and huge libraries of plugins to go beyond core capabilities. However, for building an intranet environment, you are surely looking at Drupal and Joomla experts to get it up and running. It is often hard to describe Sharepoint in a few paragraphs. It may be described as Microsoft’s mashup of tools to help businesses leverage the internet to acheieve different business goals – team productivity, information storage, knowledge management etc. Amongst other capabilities, Sharepoint can act as a pretty robust Intranet CMS, with tools built precisely for that purpose – you can set up intricately designed pages for different workgroups, pick from a wide array of collaboration tools to add to these pages and so on. However, Sharepoint’s depth comes with an equal amount of complexity. Microsoft is notorious for building products which target the developer community rather than end users, and Sharepoint is no exception. 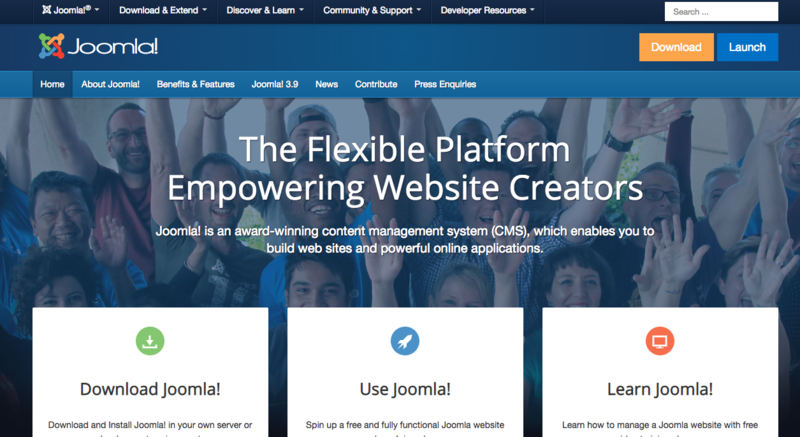 Joomla is a popular open source CMS that lies in the middle of the spectrum of complexity: it’s not as friendly as WordPress but is not as robust as Drupal. While about 2 million sites run on it, its community is not as big as WordPress, making it harder to find tutorials, documentation, and tools to speed up development. I have personally never seen popular apps that offer a prior integration with Joomla, which makes me be hesitant on adoption and ease to combine with other apps. 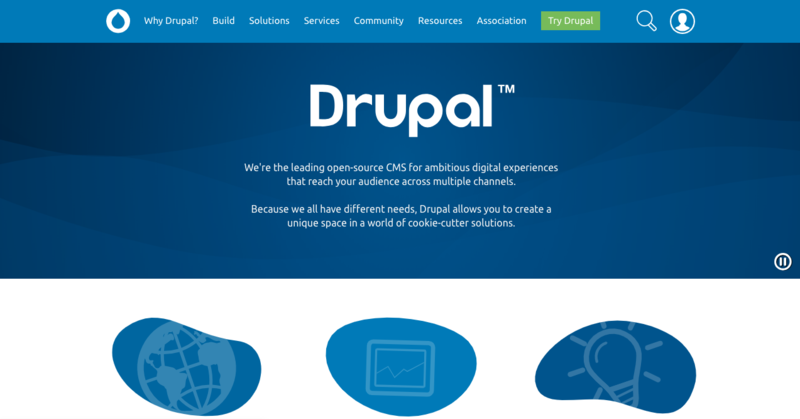 Drupal may be the most advanced CMS, ideal for complex digital projects. However, and fundamentally bad, it’s mostly meant for developers, not non-technical users. If you want a more dedicated comparison between the most popular CMS for building intranets, we recommend WordPress, vs Drupal vs Joomla.